Personalised Create your own I Love Mugs. 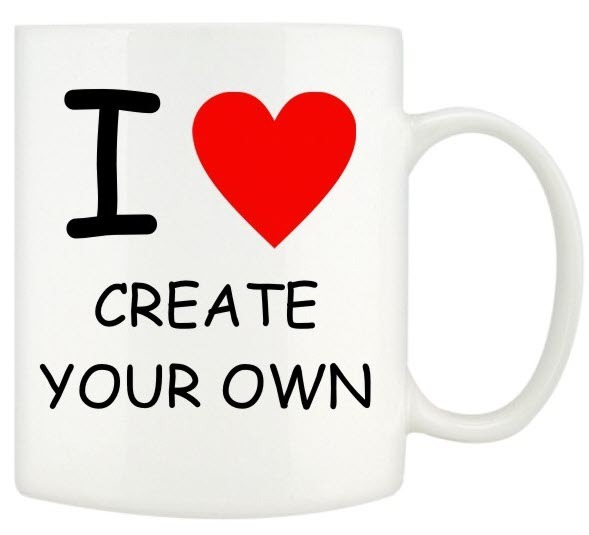 Create your own I Love Mugs, as standard we will print the I and Red Heart and you just need to let us know what you love and we'll print it! Perfect to show your love for a band, pop group, hobby, food, a special someone....its endless! !